SEAN MURRAY (SM): I’m a casual Lending Club investor that has purchased more than 2,000 notes. I like to think that I’ve been pretty good with my picks but I feel like the rush to get the most attractive notes has only gotten more competitive. I’ve also got a perennial issue of idle cash and the pressure to put it to work on the platform can feel like a burden when I’m busy with everyday life. I feel like I can do better but I have reservations about relinquishing control. I noticed in January that you raised $3 million from Runa Capital, which caught my attention. So for both myself and our readers, can you explain in a nutshell what LendingRobot does? EMMANUEL MAROT (EM): First off, that ‘burden’ is the exact reason why we started LendingRobot, as my partner and I were feeling it as well! We automate the whole investing process (decision and execution) to simplify access to marketplace lending for individual investors. (SM): I think one of the biggest concerns for casual investors is the question of who physically possesses the cash. Obviously they have already come to accept that Prosper or Lending Club will hold their cash, but what about a service like yours? Do investors send you the money to invest it on those platforms? (EM): That’s a very valid point. As of today, we do not have what the regulator calls ‘custody’ of the money. Our clients wire the money on the platform, they give us a programmatic access to their account there so we manage it for them. There is no way we can touch their money, and when the money is wired outside of the platform, it has to go back to the original bank account anyhow. (SM): How do you bill for your fees? Do you need to provide bank account information? Credit card? (EM): Since we cannot touch our client’s money, we need another way to charge our fees. We use credit card. Up to $10,000 we do not charge anything and clients don’t even have to enter a credit card. (SM): What is the difference between your service and Lending Club’s Automated Investing? (SM): If I use your service, can I cancel it at any time? (EM): Absolutely, no setup or entry fees, no exit fees, no minimum usage period. (SM): There seems to be correlation between a borrower’s home state and the default rate, can I filter out certain states with your service? (EM): Yes, not only do we offer over 25 different filtering criteria, but it’s possible to mix them freely. Some clients start with our own proprietary model, then add extra criteria, such as ‘36-months’, or ‘Exclude Nevada’. 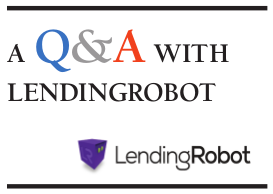 (SM): What did you guys do before founding LendingRobot? (EM): Tons of stuff! My partner and I met at Microsoft, which we both joined after selling our respective startups. We decided to create something together even before knowing what to do. Incidentally, we started the company with a very different project (see http://www.eventiles.com/). As mentioned above, we started LendingRobot out of personal need. (SM): What’s the smallest amount someone can allow LendingRobot to manage if they just wanted to try it out? (EM): Right now, our smallest client has… $66.49 invested! That being said, we recommend people to invest at least $5,000 to be diversified enough. 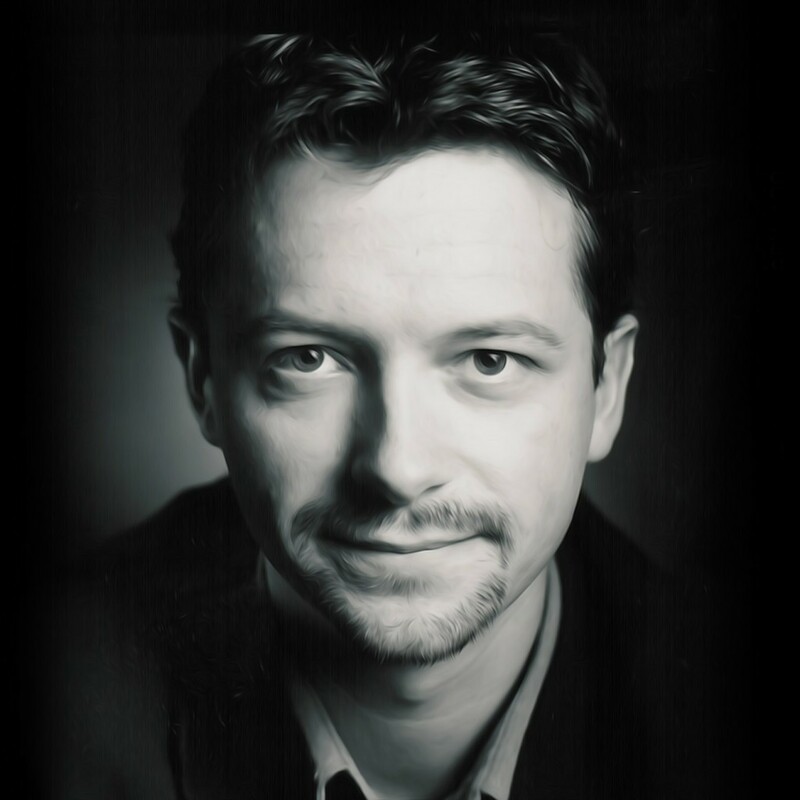 Emmanuel Marot is a polymath and serial entrepreneur. A French ‘grandes école’ graduate with a major in Computational Finance, Emmanuel started his career in product marketing at Apple. He also worked for the French intelligence agency to modernize the handling and presentation of highly classified information and acted as freelance graphic designer. At age 26, he created his first company, a Web agency that he grew up to 15 people while keeping the net operating margin above 30%. The company created the first virtual reality cd-rom (Guinness book of records, 1995) and produced mobile Internet services as early as 1996. After selling it, he co-founded a larger communication agency, with 400 employees and an annual turnover of 30 million Euro. In 2000, Emmanuel patented a novel way to access mobile sites and created his 3rd company, which Microsoft acquired six years later. Emmanuel orchestrated the move of the entire operations to Redmond, WA, and became Director, Mobile Search at Microsoft. He left in 2008 to research algorithmic trading, predicting market reversals from search engine queries. In parallel, Emmanuel did multiple executive consulting engagements for startups and corporations. He began to focus his work on the design of algorithms to automate decisions, and co-created Eventiles, an iPhone application that crafts meaningful stories from bulk pictures. In 2013, he combined his interests in finance and algorithms and co-created LendingRobot, a solution for marketplace lenders to automate and optimize their investments. Emmanuel passed the Series 65 Investment Adviser law exam in January 2014.